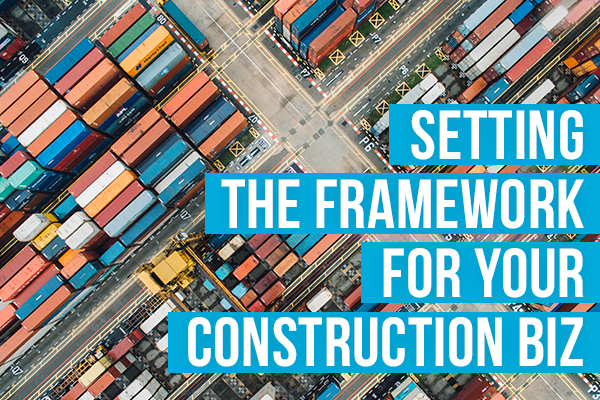 Do you own a business in the construction or contracting industry? You may not know this, but branding still plays a key role when it comes to securing new customers and sales. Your clients have to trust you, and trust in the fact that you’ll fulfill the labour and do an excellent job. How your customers perceive you comes down to your presentation and brand image. This may sound tough - but it’s easier than you think! Here are 5 key products you can use at StickerYou to set the framework for your biz. Stay safe and also stylish with some custom branded helmet stickers. 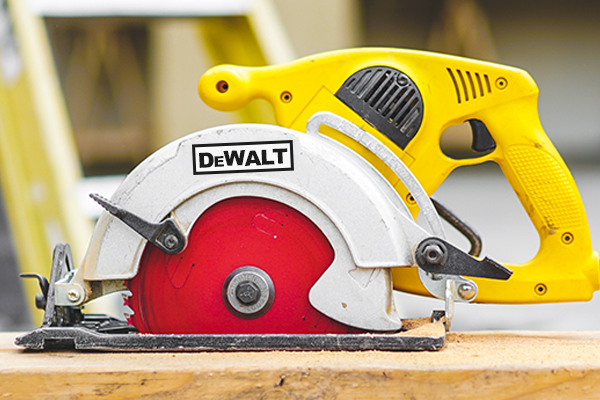 When it comes to safety at the workplace, helmets are essential. 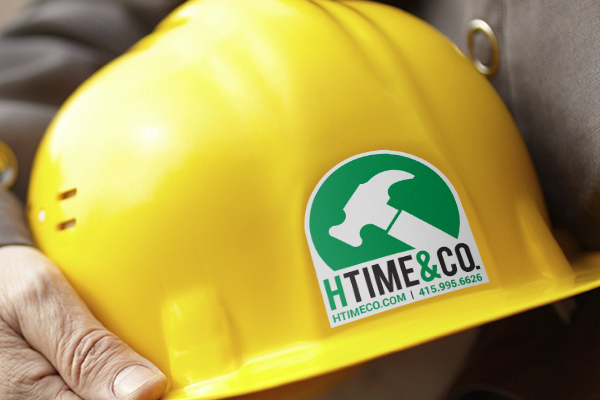 Keep track of your helmets by creating labels for them with your company and contact info. You can even personalize them with individual names for each of your employees! If you’re looking for extreme durability, our high quality permanent stickers are very strong, and will stay stuck until removed. Does your company use a vehicle for transportation to and from jobs? This is a crucial opportunity to get a huge amount of visual impressions on your brand. 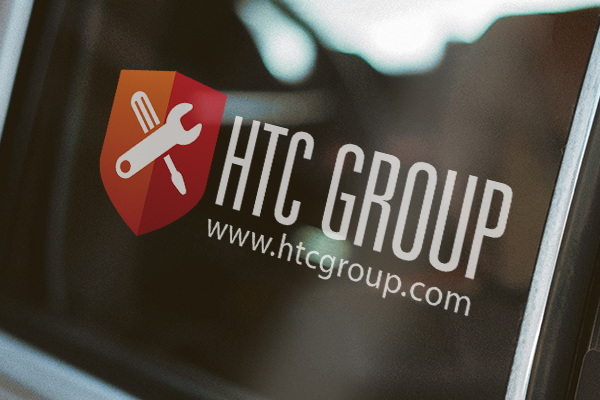 Creating some custom window decals is a great way to add info about your company - this could be anything from a simple logo to contact info, social media handles, your signature slogan, and more! If you’re looking to keep it text-heavy, your best option may be vinyl lettering. This is custom, multi die-cut lettering that you can peel and stick to any surface on your car! Stickers are a great and cost-effective way to create swag and giveaways. 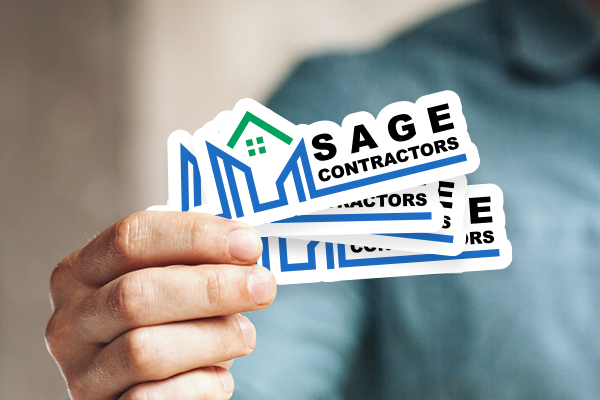 Die-cut stickers can be given away to existing or potential customers, allowing them to be stuck wherever their hearts desire! These stickers will stay stuck for years, gaining the attention of an incredible number of people. This is an excellent prospecting and brand awareness tactic. Uniforms leave a lasting impression on customers, is your people branding on point? 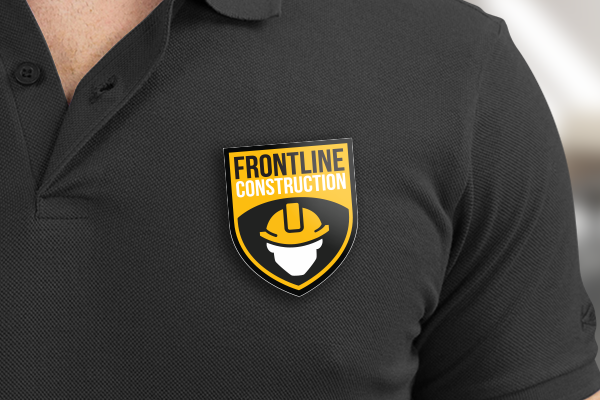 If your company has clothes required for work/safety, branding them with printed canvas patches is an excellent strategy for brand retention. Do your workers wear their own clothes? Custom magnetic badges can be utilized to create a non-permanent way of repping your biz! You can even personalize the badges with individual names, making each one unique. Hardware is expensive - make sure it always remains in the right hands by printing some permanent vinyl stickers to go on each of your tools. Printing contact and return info on the stickers will ensure they find their way back to you if you they get lost!